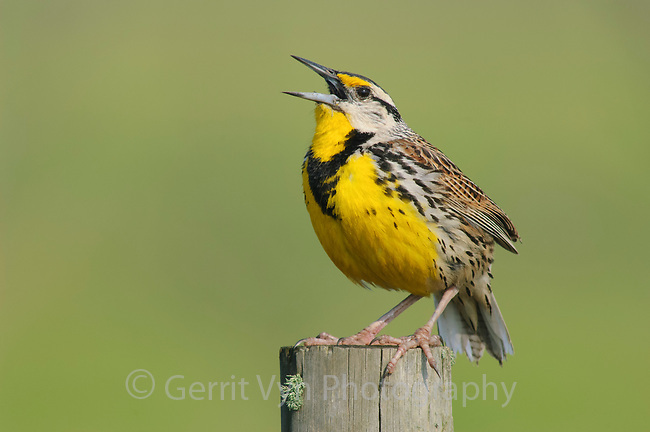 Adult male Eastern Meadowlark (Sturnella magna) singing from a fence post. Anahuac NWR, Texas. March.